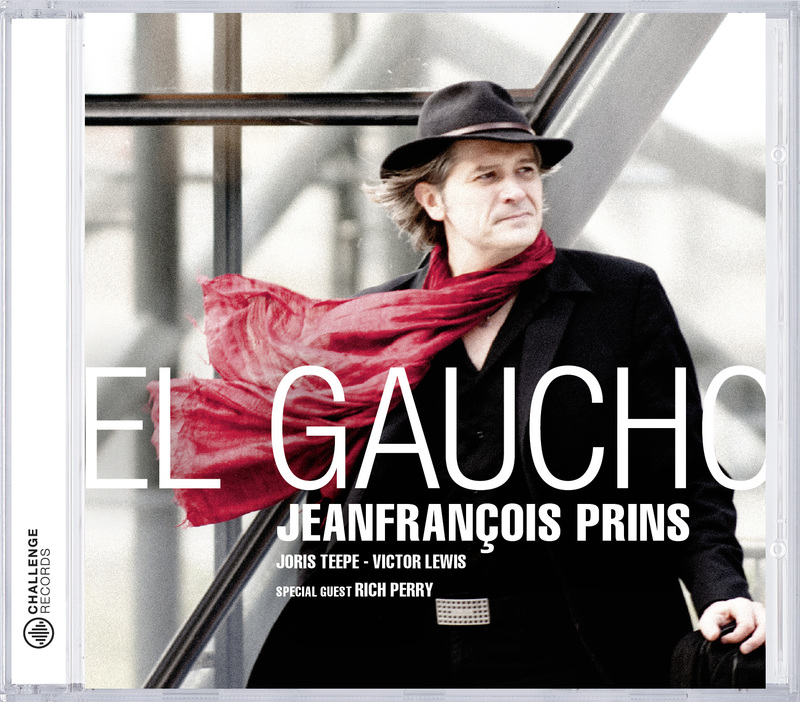 Recorded on March 28, 2011 and mixed on April 4, 2011 in Brooklyn, NY, “El Gaucho” is Jeanfrançois Prins’ latest recording as a leader. Jeanfrançois’ adult life has been focused on one thing: music. Mainly as a jazz guitarist, of course, performing and recording with many of today’s jazz masters. But also as a composer, arranger, producer for projects covering all styles of jazz, and stretching to world music, film scores, classical, avant-guarde, pop, and new music. He is involved daily in countless projects from solo to big band, collaborating with vocalists and instrumentalists alike. But for his new project, he wanted to get back to this most honest constellation, one of his favorite formats: the trio. Jeanfrançois Prins’ vocabulary runs the gamut of jazz guitar, from horn-like lines to chord melodies, from tones inspired by his elders (Django to Hendrix to Scofield), he has a definitely recognizable sound and style, one where melody is what counts, however relaxed or adventurous the context may be. The repertoire consists of six of Prins’ originals (Wet, Zorro, Fifth Ave., Noche en las Pampas, What? and Futebol), three Wayne Shorter pieces (El Gaucho, Teru and Black Nile), two standards (Spring is Here and I’ll be Seeing You) and one Victor Lewis original (I Wanted to Say). A word about Prins’ originals: Zorro is as said earlier an epic latin melody, inspired by years of playing boleros and tango music, and by the image of this mythic hero, a mysterious masked noble man galloping on his faithful horse to fight injustice, and steal from the rich to give to the poor. Fifth Ave. was originally written for (and recorded by) Lee Konitz. It is a classic jazz waltz, which displays a rich harmonic progression and gives way to dynamic explorations. Noche en las Pampas is a bolero-like melody with a nostalgic tinge, which describes the campfire night of a solitary gaucho. What? is a line written on the re-harmonized chord progression of “I Hear a Rhapsody”. So, in a tradition coming from the Be Boppers and the Tristano school, it is an intricate and surprising melody performed sometimes unison, sometimes in harmony guitar-tenor sax, with the addition of the bass in the last melody. mais je pourais quann-même si tu me dit ou le trouver.Je ne crois pas en Espagne mais à Brx,pas de problème pour moi.Mes plus sincères amitié à vous deux. Roger. ""It is a classic jazz waltz, which displays a rich harmonic progression and gives way to dynamic explorations.""